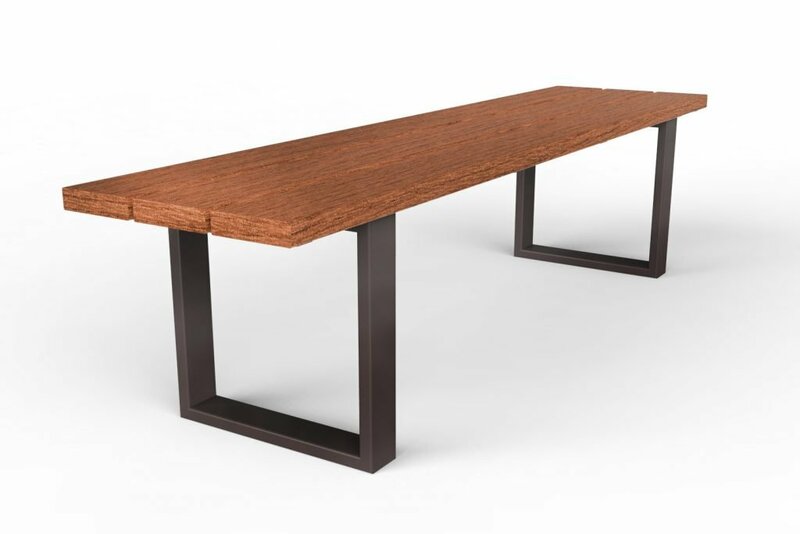 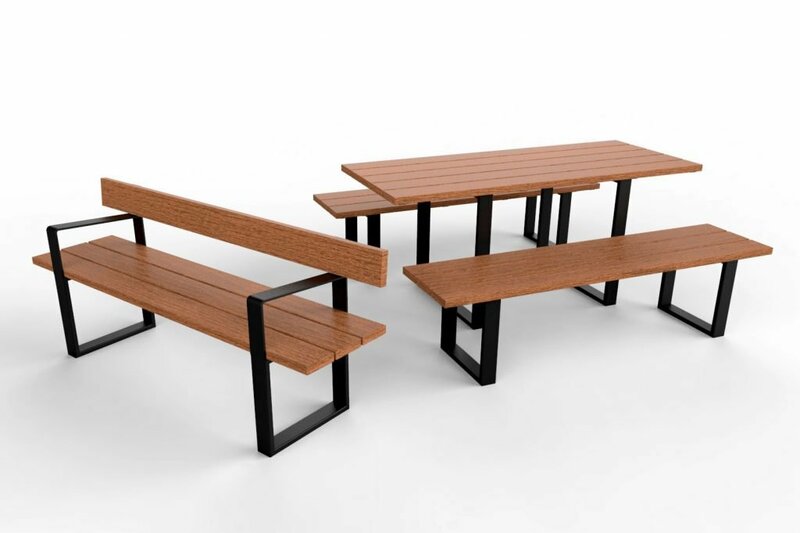 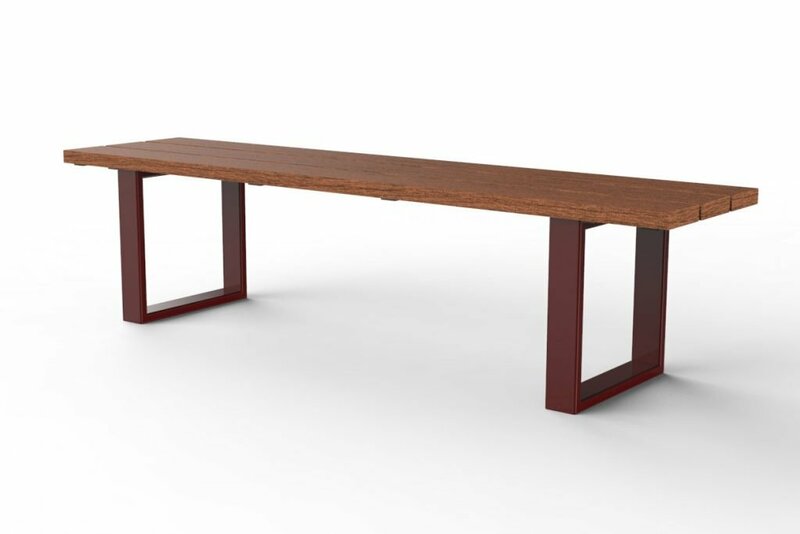 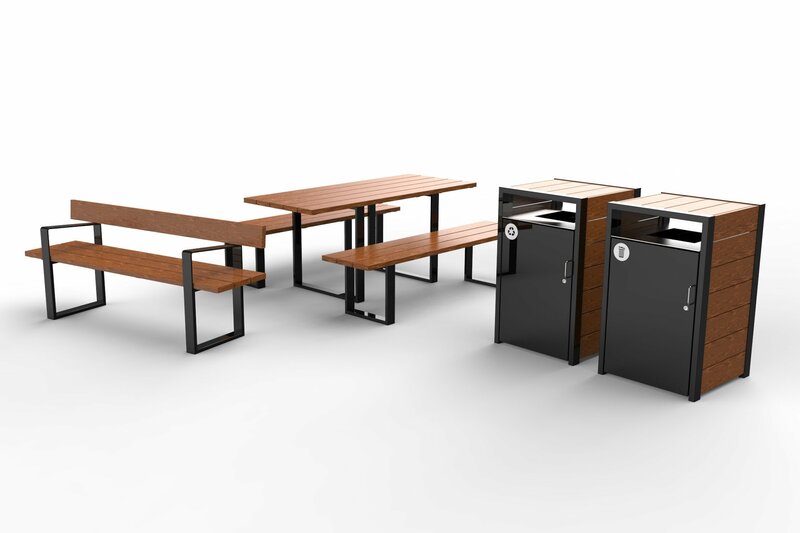 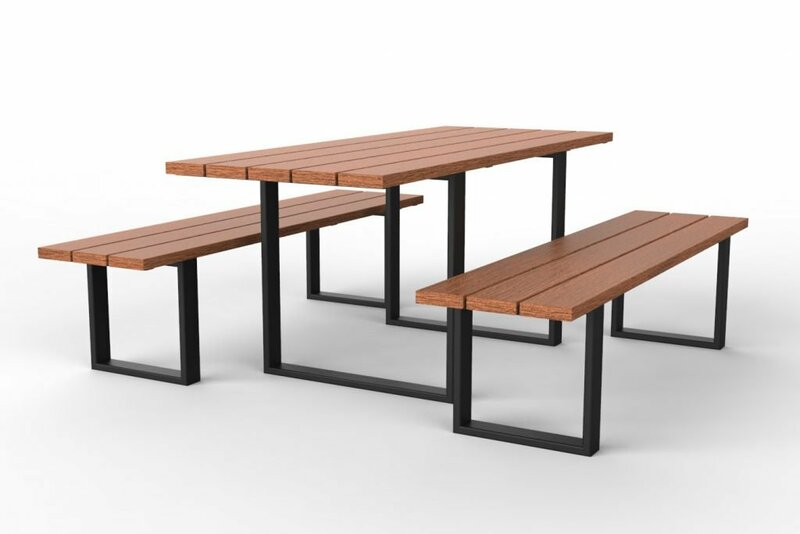 The sleek and simple range is ideal for outdoor cafe areas. 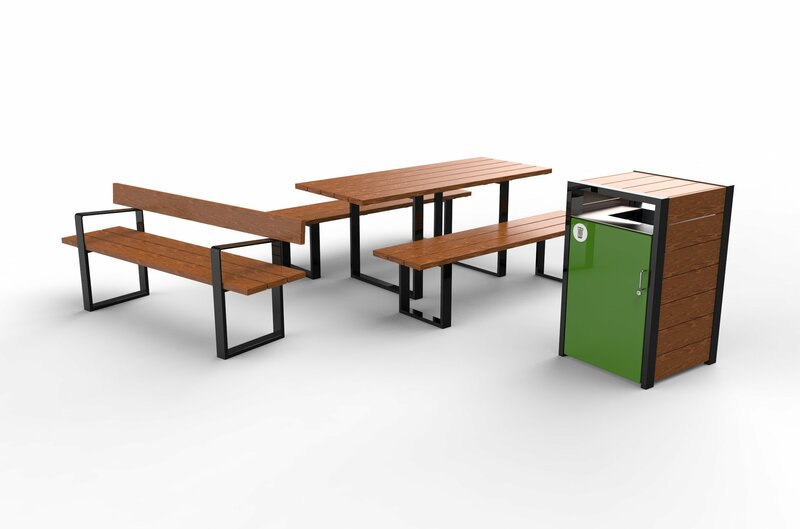 The Alfresco Picnic Setting includes inset legs as standard, meaning it is suitable for wheelchair access. 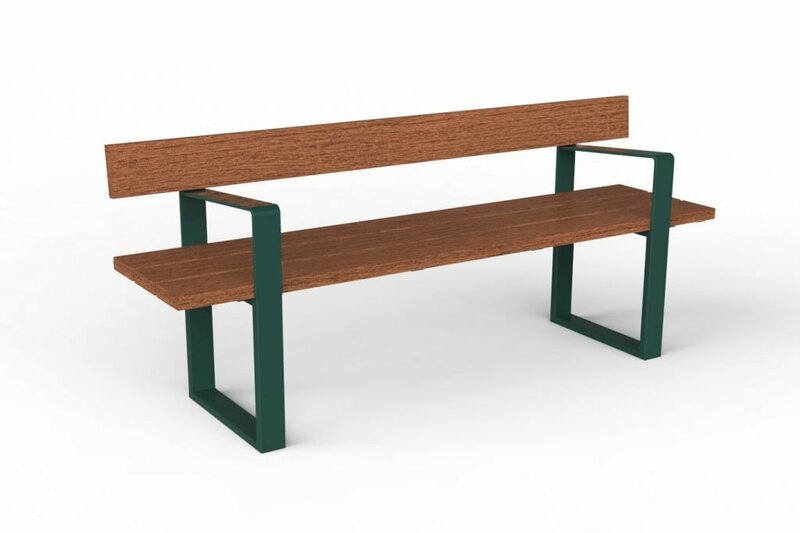 We have achieved a slimline but sturdy design by using RHS and wide battens. 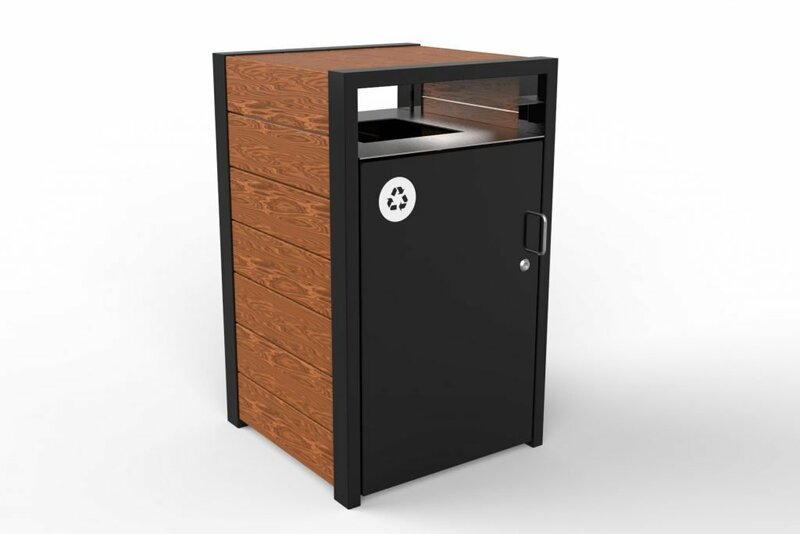 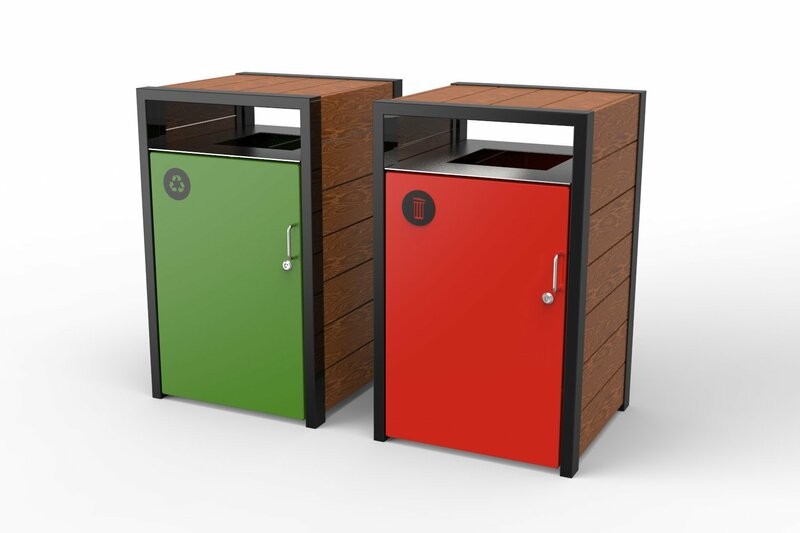 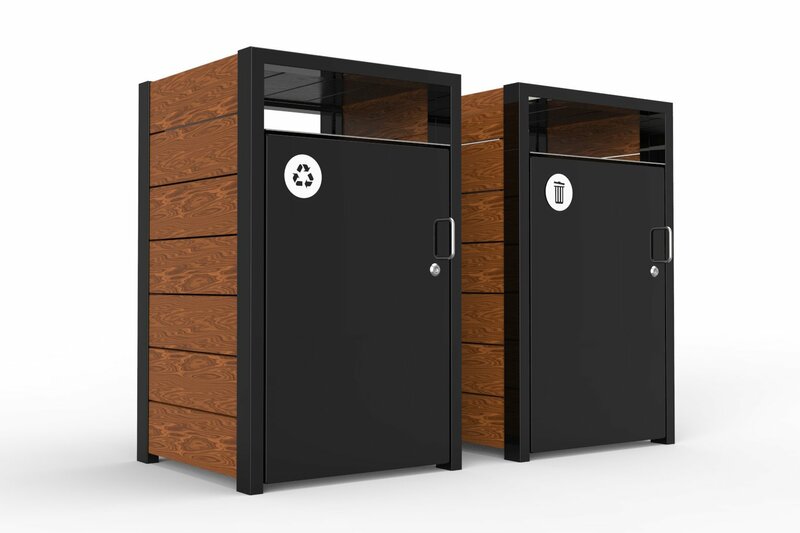 The batten clad Alfresco Bin Enclosure is a unique addition to our standard range of 120L bin enclosures. 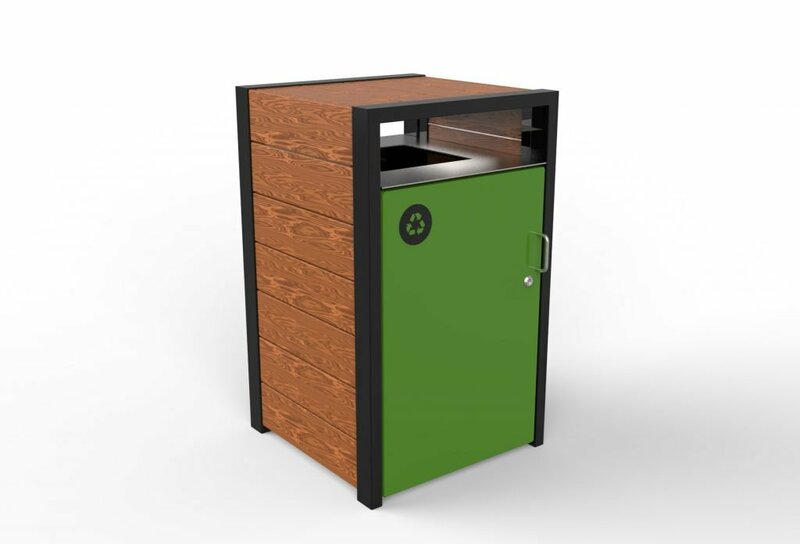 The powdercoating and decal options lend themselves to adjusting the look to suit your project.